We are the asthma experts! We know it can be frustrating searching for the best life insurance policy with a history of Asthma. Can I Qualify for Life Insurance if I have Asthma? Yes, most individuals with Asthma will be able to qualify for traditional life insurance, the type of insurance which requires a medical exam. But you will need to speak with a knowledgeable, independent agent, who is licensed with several life insurance companies for your best chance at approval. 1. How many years since you were diagnosed with Asthma? Early diagnosis of Asthma may present a history of the symptoms and the frequency and intensity of the attacks. This history will give a clear picture of whether your Asthma symptoms are controlled or not. 2. Have you identified the trigger factors of your Asthma symptoms? Trigger factors like food, medication, weather condition or emotional state plays a very important role in the control of Asthma symptoms. Flare signs and severe symptoms of difficulty of breathing and wheezing can be avoided if the trigger factors can be avoided. If you know your Asthma triggers it shows good control of your condition that may get you a “Standard” health class. 3. How many times do you experience Asthma symptoms in a period of one year? The less frequent the Asthma symptoms are the better the chance of getting the best case rating. Frequent attacks may be a sign of a severe case of chronic Asthma and may need further evaluation. 5. Are you or is anyone in your household smoking? Smoking is a very common cause of Asthma attacks, so if you or anyone is smoking it means symptoms may be frequent than usual. This may get you a “Mild Substandard” rating. 6. Have you had any relevant diagnostic tests within the past six months? Recent laboratory and diagnostic tests may include chest X-ray, spirometry or skin testing for common allergens. These are the best methods to assess your actual condition. Using the Instant Life Insurance Quote form on the right, select the rating class that best suits you based on your answers to the questions above, as well as complete the amount and type of coverage needed. An estimate will appear on the next page. If we can help you with a quote or to apply for coverage, call us at 877-443-9467. Asthma is a condition caused by an airway obstruction whether the symptoms appear spontaneously or with treatment. Known asthmatics react to specific allergens that trigger swelling of the airways. 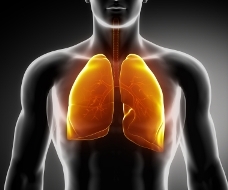 Asthma used to be classified under Chronic Obstructive Pulmonary Disease (COPD). But since prognosis over time has greatly improved, and has now been considered a reversible condition, Asthma is no longer regarded under COPD. Symptoms of Asthma include coughing, difficulty of breathing, wheezing, excessive mucus production and inability to fill the lungs with air. Symptoms usually get worse during sleeping and waking hours.